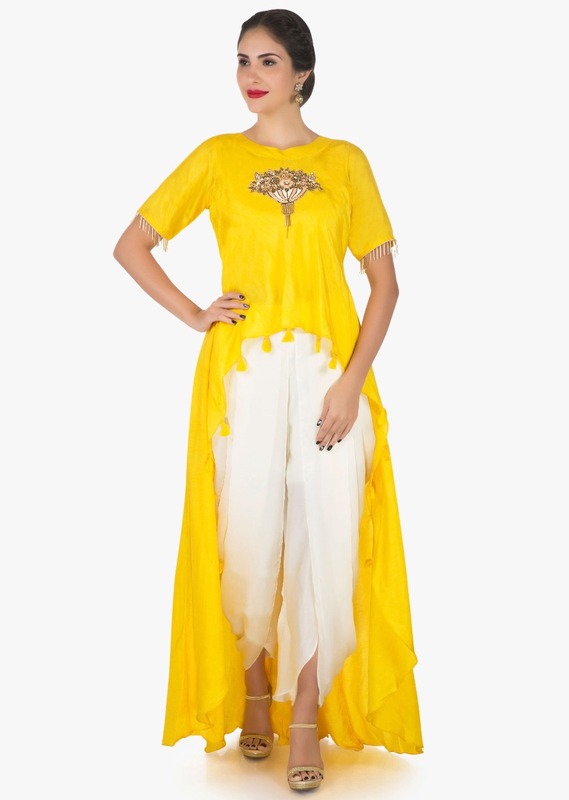 Take your style game a notch higher in this yellow and white dhoti suit. 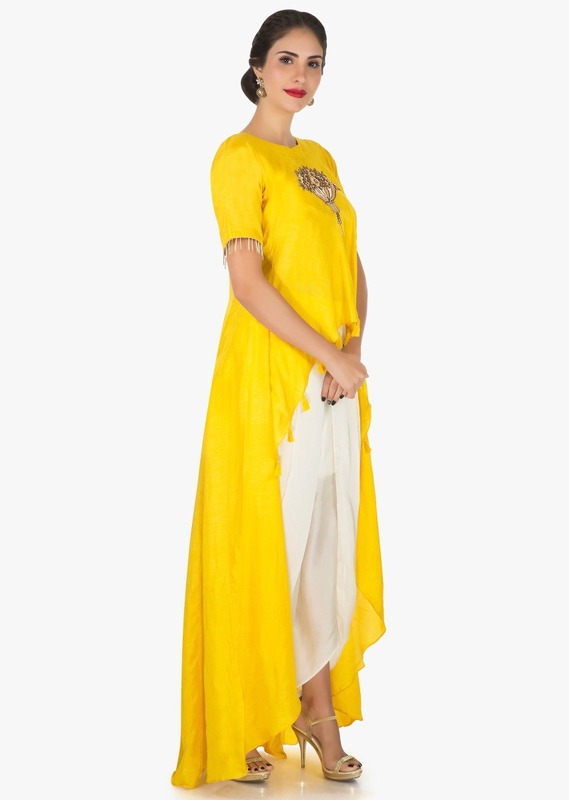 The dhoti suit is set together with a raw silk crop top that acts as a base for the outfit. 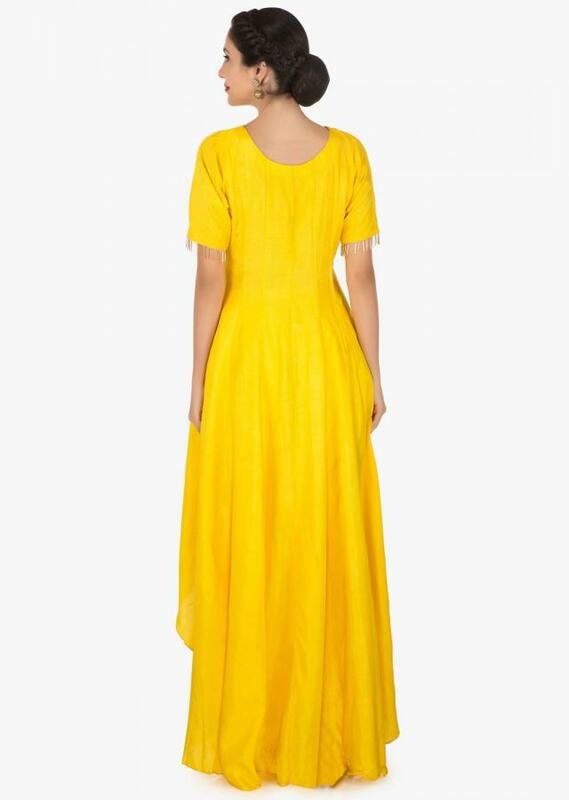 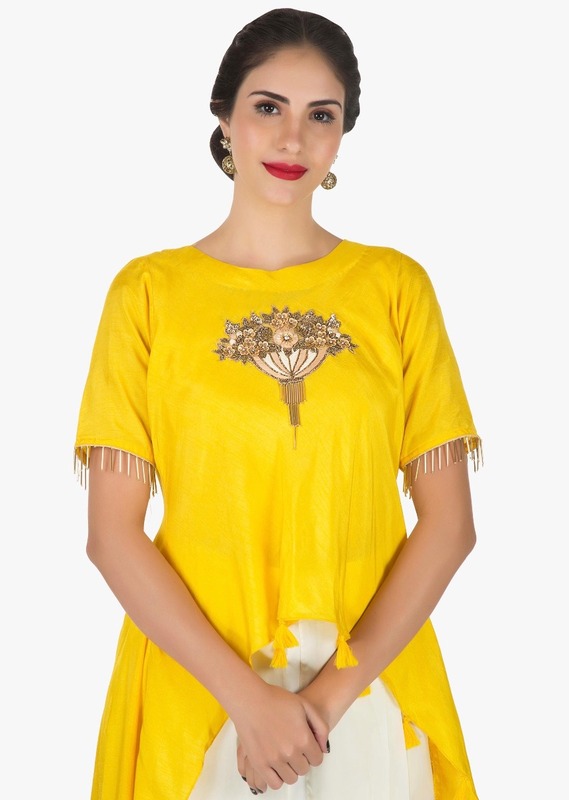 Further it extends to a over layer with a front short and long back that is embellished in resham and zardosi butti at the middle with attached tassels at the corner. 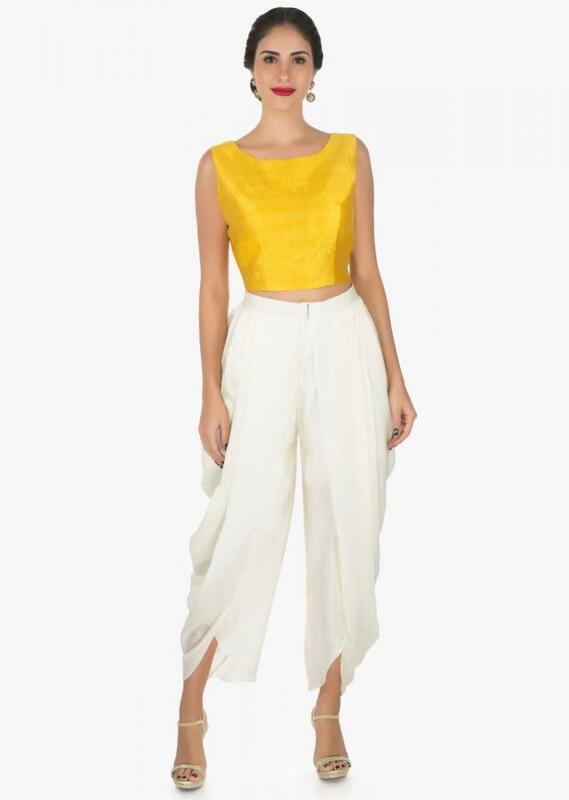 Paired with a white dhoti in satin crepe.